Scripture never mentions a retirement plan. Noah was 600 years old when God called him to save a remnant of humanity; Abraham was 100 when God told him he would be a father. Moses was 80 years old when he confronted Pharaoh. Zacharias and his wife were advanced in years when they became John the Baptist’s parents. Simeon and Anna who were at the Temple when Jesus was dedicated as a baby were aged. The Apostle Paul called himself old in Philemon 9. God has little regard for one’s age when He calls. He is more concerned with faith and obedience to His Word. With the exception of Paul, there is little to no information about the lives of the people identified above. Their specific purpose under God’s Will was not revealed in Scripture until they were old. They knew they were old; they knew they served a mighty God. They knew that God would take care of them throughout their lives, no matter what God had in store for them. These people did not allow age to become an obstacle to obedience. They also didn’t know what they were about to experience – they only knew that God had called them and they responded in obedience! There are those whom God calls later in life for a number of reasons. There is great wisdom in the experience of older people. There are many verses that exalt the “hoary head” and speak to the value that a long life possesses. Mature people can serve the Lord effectively; and so they should! 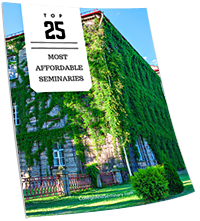 The truth is that Seminary students are getting older – that is, matriculating students are older than they used to be. For example, at Dallas Theological Seminary, fully 70% of the students are over 30 (http://www.dts.edu/about/statistics/), 42% are over 40 and nearly 24% are over 50! Using their data, the average age of a DTS student is around 40 years old. 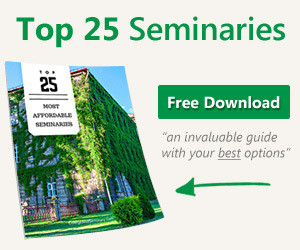 This is one example, but you do not need to dig deep to find more information about experienced people entering Seminary. These students have overcome the social stigma that “you can’t teach an old dog new tricks” and obeyed the call of a Holy God to take this step. Mature students can overcome appearances and social stigma more easily than younger students. Mature students understand and appreciate the coursework better than young ones because their perspective is far different. Mature students can bring their experiences to a discussion and have a positive impact on the class’ learning. Sadly, we live in a culture that worships youth. As a people, we are not far removed from Rehoboam who rejected the advice of the elders in favor of the younger power base. As a result, his name is remembered throughout Israel’s history in infamy and future kings engaged in “the sin of Rehoboam.” This is a graphic reminder of the value of wise counsel – counsel provided by the elders (and rejected by the youth). God uses mature people for His Will! Truthfully, there should be no obstacle between God’s call and your obedience. It is God who determined whom He will use for His purposes; He is called no respecter of persons – but that means that He will use anyone He chooses. The bottom line is that we need to listen for and respond to God’s leading with faithful affirmation because he is the ultimate authority (and He loves His children); we mustn’t let our own culture or social stigma determine God’s mission. It is God’s mission and He knows what He is doing!